On May 14, 2013 The Committee of Sponsoring Organization (COSO) released its new internal control framework. 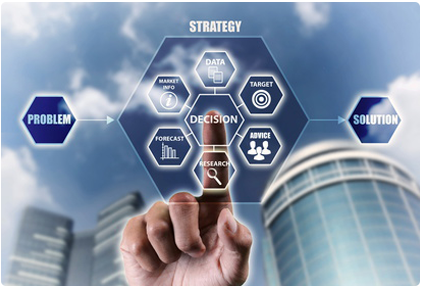 This is an organization with a mission focused on thought leadership on matters such as Enterprise Risk Management (ERM),Internal Controls and fraud deterrence and in the spirit of designing and improving frameworks,it is user for risk management and internal control,The outcomes are aimed at improving organizational performance and governance while reducing fraud and organization. The use of COSO has not been mandated by any of the regulators such as SEC, FASB, AICPA, PCAOB, OSC etc, however all of them have long referenced COSO as an acceptable framework for an internal control structure. The largest impact of COSO 2013 will be the need for companies to transition to the new Framework, Depending on the entity’s current system of internal control, transition could be as minimal as addressing the specific gaps identified to more comprehensive and expansive remediation efforts. In either case, it is likely that the entity’s system of internal control will expand beyond internal control over financial reporting to other areas of the organization. 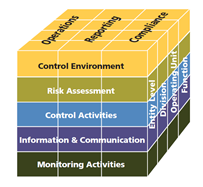 The framework embraces 17 principles representing the fundamental concepts associated with each of the components of internal control set out in the 1992 framework -the control environment,risk assessment,control activities,information , communication and monitoring. Because these principles are drawn directly from the components themselves,the framework broadens the focus of internal control to other forms of reporting beyond financial reporting and provides ore guidance on applying to such areas as operations as compliance. What Fareed Sheik LLP Can do for you?